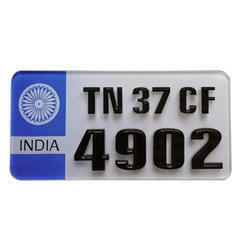 Matching up with the requirements of our clients, we are involved in offering Number Plate. 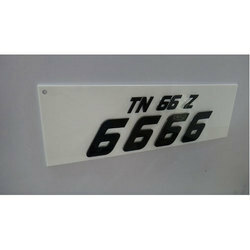 We are offering Stainless Steel Number Plate to our client. The offered Stainless Steel Number Plates are highly acknowledged by our clients owing to dimensional accuracy, corrosion & heat resistance. Single sheet bending without welding joint. No fear of breaking.